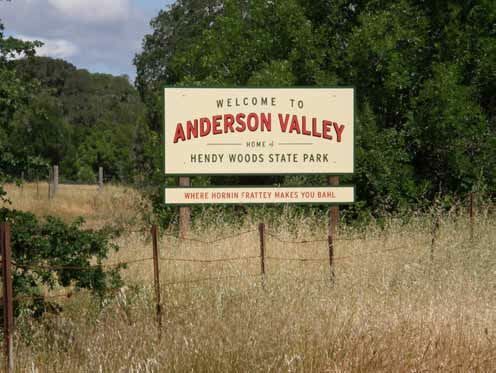 I am always glad when the Pinot Trail leads me to the annual Anderson Valley Pinot Noir Festival. I am attracted by the convivial winegrower hosts and organizers, the informal, country fair atmosphere, the delectable local artisan foods, and the superb, world-class Anderson Valley Pinot Noirs. When I leave Highway 101 at Cloverdale and begin the leisurely drive on winding, pastoral Highway 118 toward Anderson Valley, I leave my cares behind, and look forward to visiting a rather peaceful, reclusive Valley dotted with picturesque vineyards, moss-covered oaks, old apple-drying barns, split-rail redwood fences, and welcoming wineries. 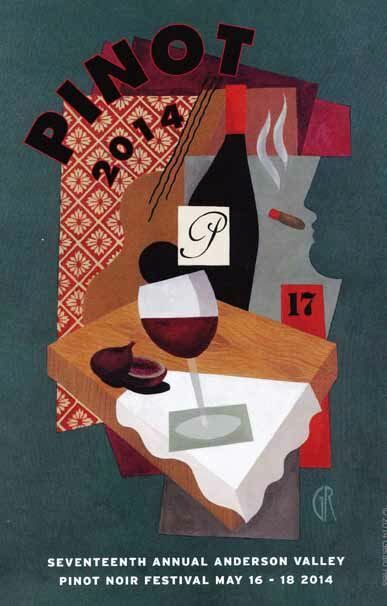 This year’s Festival marked the 50th (or 51st depending on who you ask) anniversary of the planting of wine grapes in the Anderson Valley in 1964 by Dr. Donald Edmeades, a cardiologist from Pasadena, California. In 1963, he bought 108 acres of grazing and orchard land north of Philo and began planting 24 acres of grapes excluding Pinot Noir. (Note: the Edmeades website reports that the first plantings were in 1963, but other sources date the plantings to 1964) The locals were skeptical and Edmeades, in good humor, put up a sign on Highway 128 that read, ‘Edmeades Folly.’ In truth, Edmeades had carefully researched the potential for wine grape growing in the Anderson Valley and had been visiting the region on vacations since the 1950s. The University of California at Davis viticulturists had completed a survey of the climate of the Anderson Valley, and classified it primarily as Region I (up to 2,500 degree days), ideal for cool climate grapes. The first Pinot Noir planted in Anderson Valley was by Wilton (Tony) Husch at Husch Vineyards in 1967. He had acquired the 60-acre Nunn Ranch halfway between Philo and Navarro and planted a 3-acre parcel known as the Knoll block. In 1971, the first crop was harvested, and the same year, the back room of the Nunn Ranch house, built in 1920, became the first modern winery in the valley. The Festival kicked off on Friday with a Technical Conference held at the Mendocino County Fairgrounds followed by a casual BBQ at Foursight Wines that evening. 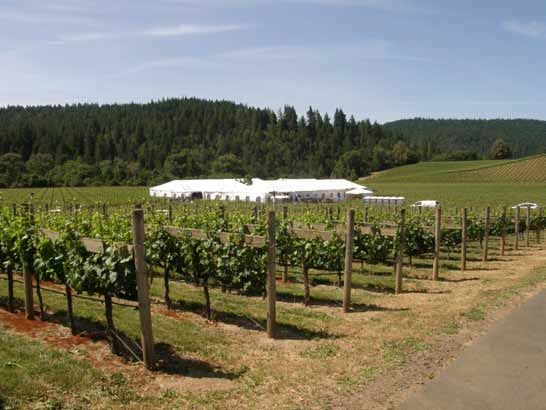 On Saturday, a Press Tasting of Anderson Valley Pinot Noirs was held at Balo Winery, followed by the Grand Tasting in a tent at Goldeneye Winery. Sunday was devoted to Winery Open Houses. Reportedly, 1,300 people including consumers, trade and media attended the event. In the following pages I will report on the following: the Technical Conference, the Press Tasting, and my visits and tastings with the winemakers at Balo Vineyards, Drew Family Cellars, Knez Winery, Bink Wines and Signal Ridge Vineyard.